Airports can be a tiring experience. You’ve got to join several lines and wait around for quite some time before you manage to get on your flight. Lots of people are not fond of flying, and so a seamless experience getting through the airport will go some way to helping calm their fears. We have to thank the airport staff for making the whole experience as pain-free as possible and ensuring we are safe throughout our journey, even though it is still a long and arduous time. With all of the extra safety hoops passengers have to jump through it is no wonder they can often find their tempers getting shorter as the airport experience isn’t the most fun in the world. The airport staff are the ones that can settle the nerves of some, or calmly deal with an aggressive and angry passenger like it is just water off a duck’s back. Millions of people travel through airports across the world each year, and on occasions, their luggage will, unfortunately, end up damaged or lost. If you have ever wondered how that was the case, then our airport staff confessions will answer many questions passengers would like to ask them. There are luckily very few incidents of violence at the airport. This may be surprising when you consider how much people drink to calm their nerves before boarding a flight. Staff at airports are constantly monitoring us through special behavioral cameras that can check when someone is becoming too aggressive. This allows the airport security to swoop in before there is a major incident and diffuse the situation. Of course, the reason why they monitor everyone so closely is to ensure all of our safety, but it is a little creepy that we are always being watched so closely. The staff are thankfully discreet as we’ve not noticed being watched closely before. The various kitchens in the airports don’t ever really get to shut down as they will have to begin cooking for the next round of hungry mouths to feed. There were an estimated 36.8 million flights last year which means there was potentially 100 times that many passengers at a minimum, although there were likely to be much more than that. That is a lot of food airports need to keep making as flights are generally around the clock these days. There are plenty of hungry mouths traveling through airports at any given time. We say thanks to these kitchens that are providing air travelers with enough energy to keep going. The airport staff like to try and dissuade people from bringing contraband through their airport by any means necessary. 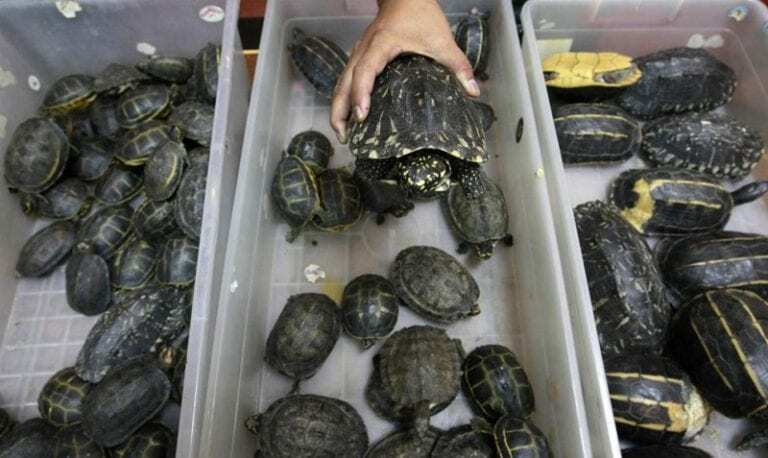 Unbeknown to many of us there is a whole storage area full of contraband that has been attempted to be smuggled from one country to another. 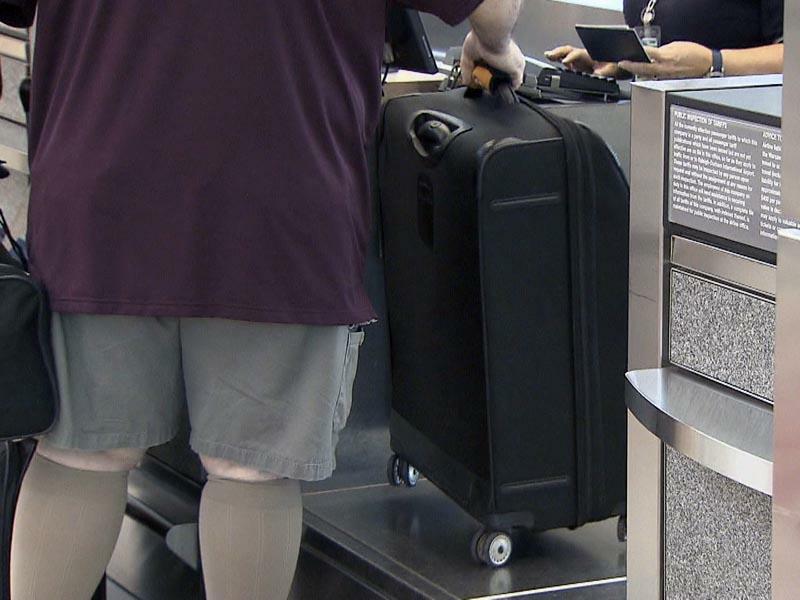 The airport staff are fond of posting what they find from passengers online to try and embarrass people, they hope this will stop others from bringing banned items due to fear of humiliation. If someone has been handling something they shouldn’t have, like illegal narcotics for instance, then they can examine their hands to figure out what exactly it is that they have been touching. They will swab their hands with a wipe that gets put into a machine to analyze what it has come into contact with and can identify a whole range of illegal substances. 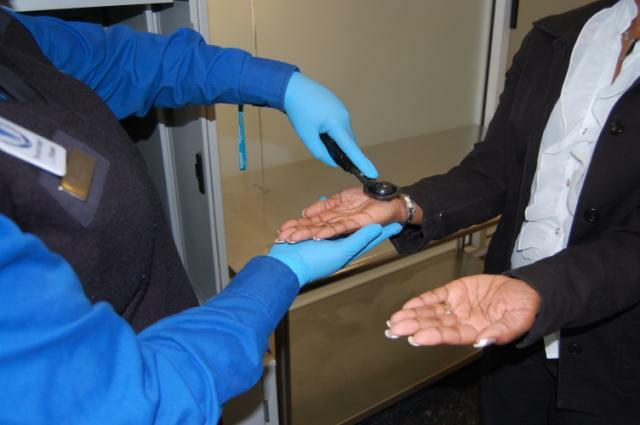 If a suspected smuggler’s hands are a giveaway, then airport staff will make sure to check both their luggage and their body for contraband. They haven’t earned the nickname of ‘throwers’ without reason. Have you ever been traveling by plane and found your suitcase has been damaged? 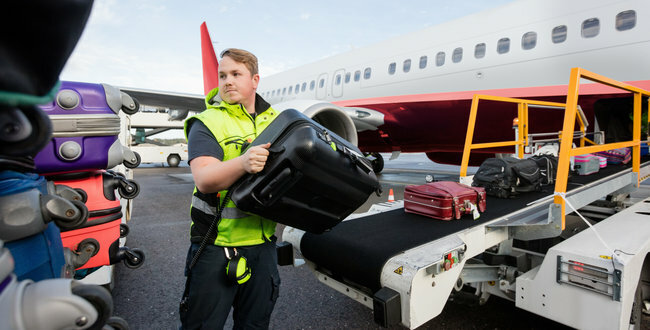 The likelihood is that it has been mishandled by a baggage handler. Take a look at these guys, there are suitcases all over the place, and you can see that one is even in mid-air as the picture has been taken. Hopefully, there aren’t any breakables in that bag otherwise there could be a spillage to clean up. 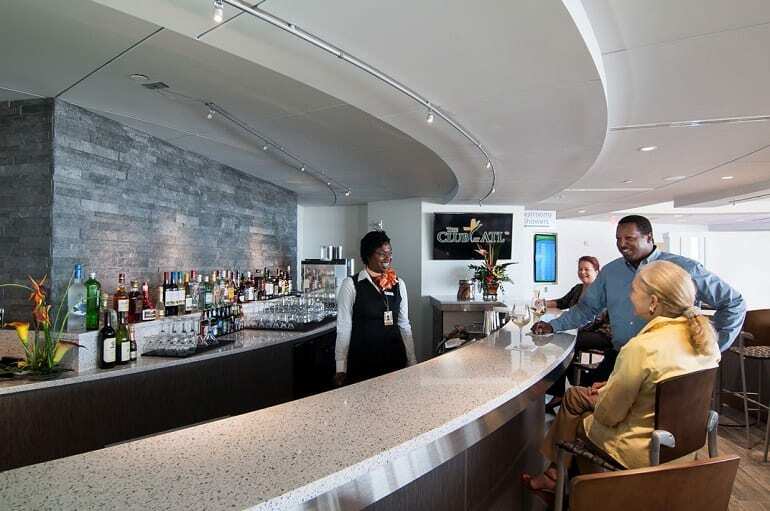 The club lounge is a place many travelers like to pay a bit extra for to take them away from the hordes of people in the departure lounge of an airport. In paying extra for a little bit of peace and quiet the club loungers often get their own bar to enjoy. The bar staff that work at club lounge bars do very well in tips thanks to the usually high demand for their services. Some bartenders have claimed they can earn up to $40 per hour in tips alone. 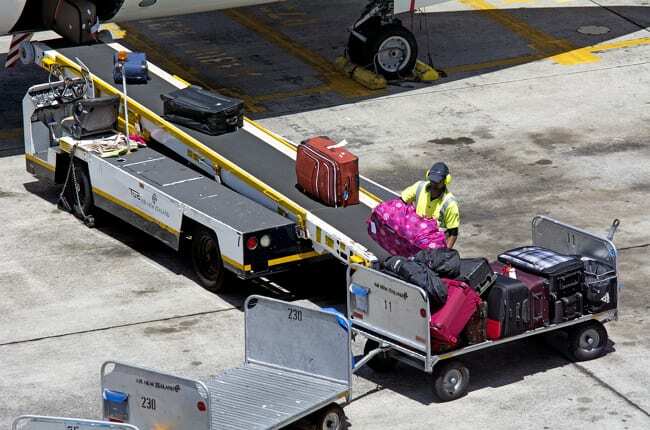 The luggage at an airport is sorted using an autonomous system, which means that your bags are sent to planes by machines. Therefore, at any given time airport staff don’t know where your bag is in the luggage system. 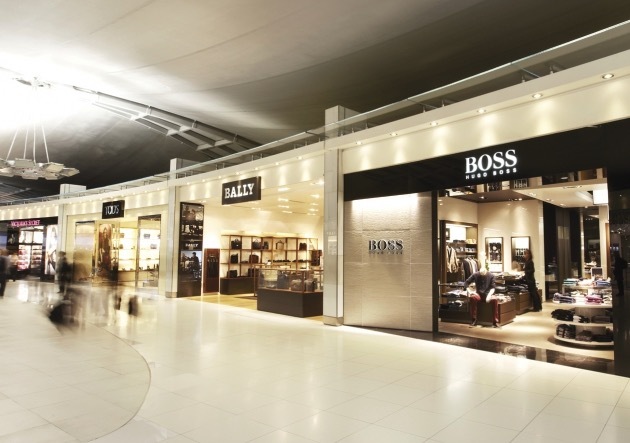 The automatic system is responsible for getting bags from check-in to departures, moving them from one area to another (connecting flights), and from arrivals to baggage-claim. They use the codes on the luggage stickers to allocate locations, which is why you should remove your old ones in case they get confused. When you go to the airport you get treated the same as everybody else, you get screened to make sure you aren’t hiding anything and aren’t presenting a danger to anybody else. Seems fair enough. The staff that work at airports do not have to be screened each time they enter the airport which opens their positions up to abuse. 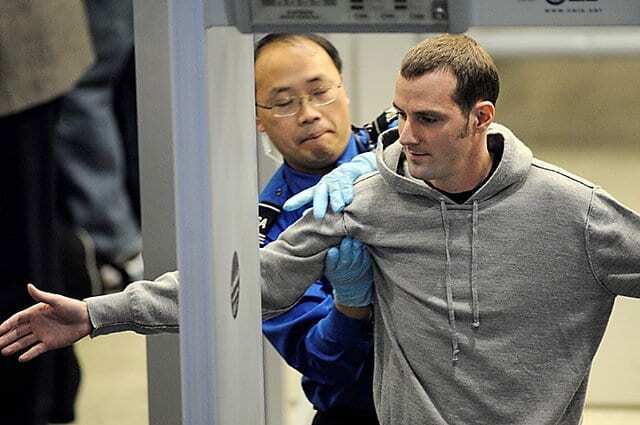 There have been several incidents where airport workers have been smuggling illegal substances, so we have to question why they are allowed to get away without being screened? Many staff at airports have been trained to analyze and interpret body language. These people are called profilers, and they closely watch your expressions to try and gauge whether you are nervous and trying to hide something. Many people who fly are nervous, so it is their job to differentiate between those people and the people trying to hide things. They will ask a few questions, and if they suspect a person is lying, they will subject them to a screening process. Many airports now have special entrances for the world’s rich and famous, so they don’t have to mix with the rest of us. This is why you won’t often see a celebrity just chilling in the departure lounge – they have their own. This VIP terminal is becoming more and more popular and LAX has recently installed their own, following the trend set by other international airports. Celebrities are shepherded onto the plane before anybody else by a private car that takes them right up to the plane’s door. As a general rule in life, if you want someone to help you out then shouting and screaming at them isn’t the way to go. The same rules apply when going to the airport and many workers admit that if you are being rude, they are less inclined to help you. 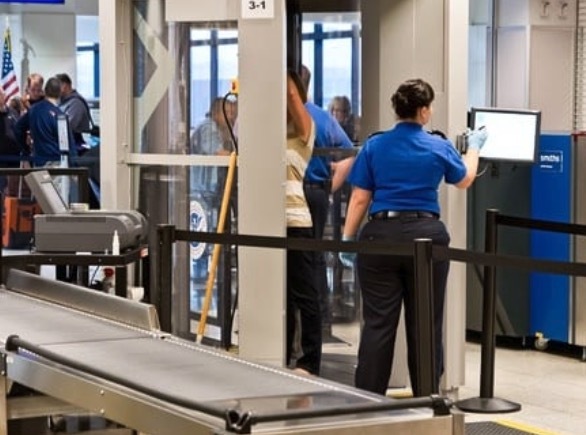 In fact, they might try to make your life more difficult, as one airport worker confessed to leaning on the scales with their knee to make a rude passenger’s bags appear heavier and to force them to pay extra. Many people will be aware that air traffic controllers aim to keep the planes in their airspace safely far enough away from other planes. 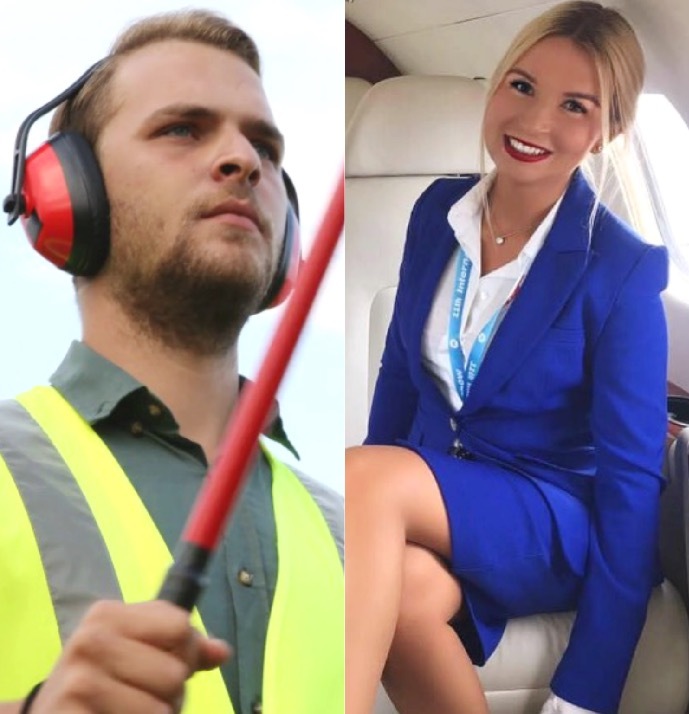 What many people might not know is that these people also control more than just the planes in the sky. They will control where they go when on the ground and are tasked with coordinating the lighting on the runways. 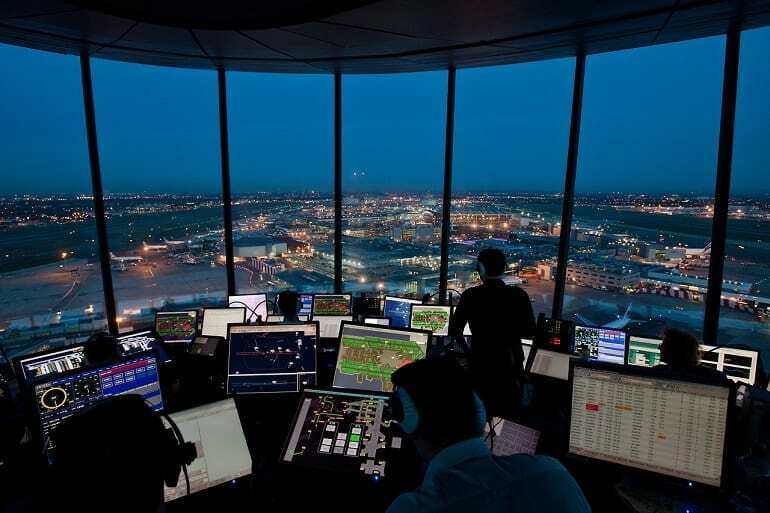 One air traffic controller will have around five monitors to contend with and looks at things like the weather conditions and lots of information about the planes. 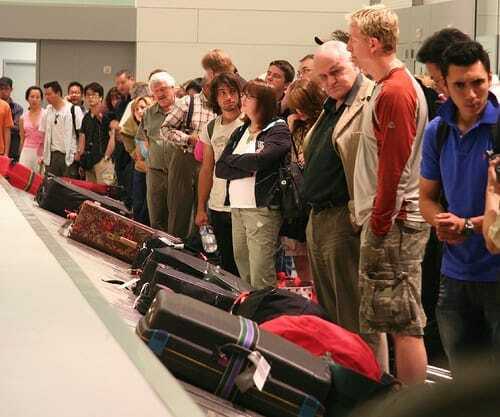 It is the dreaded situation every time you travel, losing your luggage. We’ve all had that feeling when waiting at the baggage carousel for our bags and worrying that our bag just isn’t going to appear. 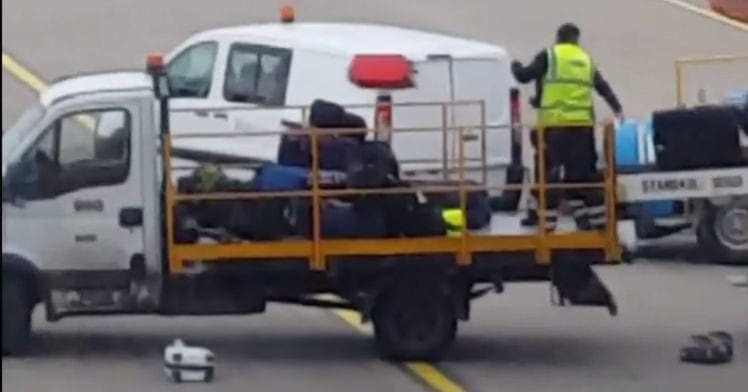 There are a number of reasons why, including; the bag wasn’t loaded onto the plane in time due to requiring additional checks, it was put on the wrong trolley and ended up somewhere else, or the wrong sticker was put on it and it again ended up somewhere else. Have you ever been sat on a plane and looked out the window to see giant numbers painted onto the runway? Maybe they’re the runway number? No, they are an important aid to help pilots take off and land. The numbers are between 01 and 36 to represent the degrees, where 09 is 90० representing east, 18 is 180° and south, 27 is 270° and west, and 36 is 360° and north. 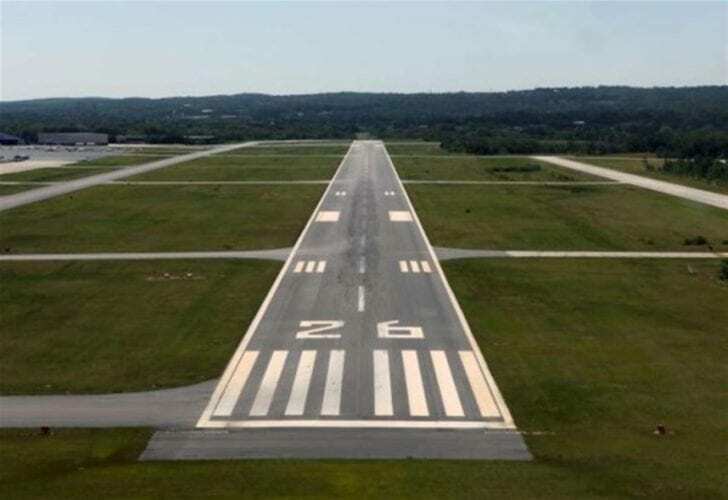 So there may not be 36 runways at an airport despite it having that number painted on it. We place a lot of trust in air travel, we trust the pilots to fly safely and we trust the airports to look after our bags. Often we travel with valuable items and we hope that they come through just fine. 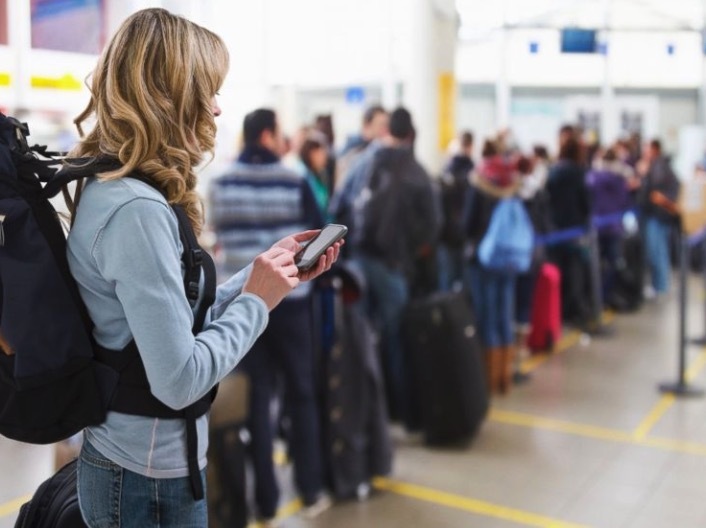 Sometimes that trust is misplaced and there have been many occasions where the airport staff have helped themselves to our items – many have been fired because of this. This has been especially noticeable around the holidays when travelers are visiting friends and relatives with expensive gifts in their suitcases. This one is a little intrusive. 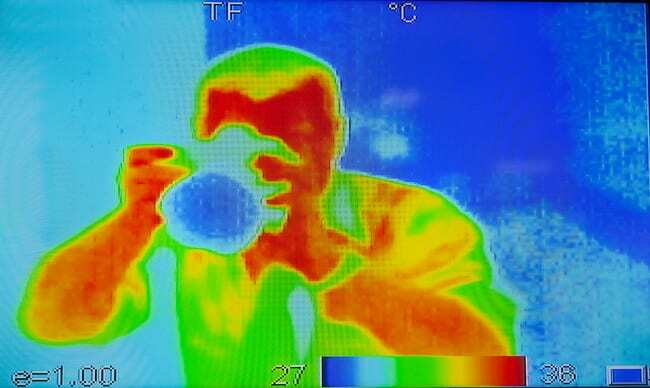 The security staff at the airport can see us without our clothes if they put us through a full body scanner. This scanner has the ability to see through our clothes and determine whether we are concealing anything like a weapon or any illegal substances. This is for security reasons and helps to maintain our safety, so for many travelers, it is just something we have to accept. We might have to work out a bit more before we head to the airport next though! 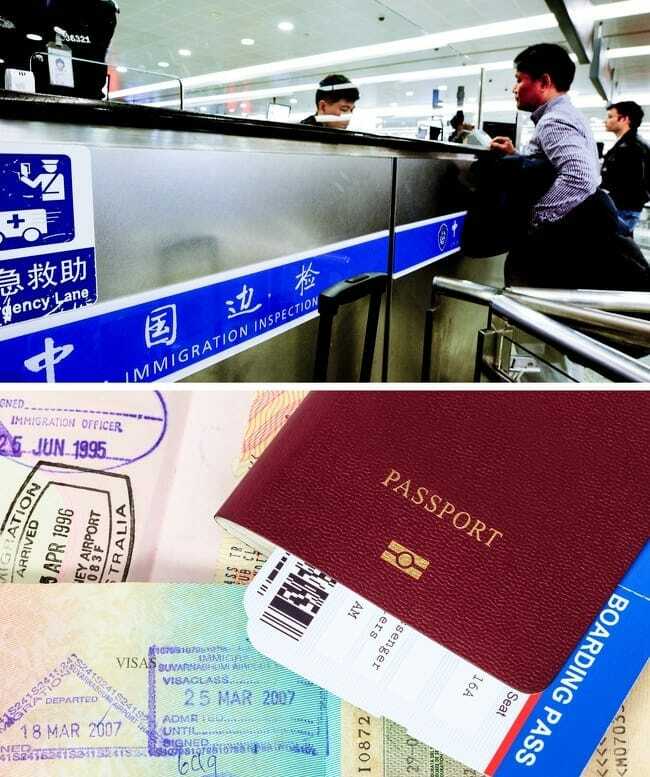 When you arrive in another country, the first thing they will probably check is your visa. If this has expired, even if you are moving on to another country, they will instantly deport you. So make sure your visa is always valid otherwise your trip could end up in disappointment. If you are refused entry into the country you have landed in, then you can expect the airline to pay for the ticket to take you back home, a small silver lining in an otherwise horrible situation. You might be forgiven for thinking that sticking a lock on your luggage means that no one will be able to open it. This is not true. 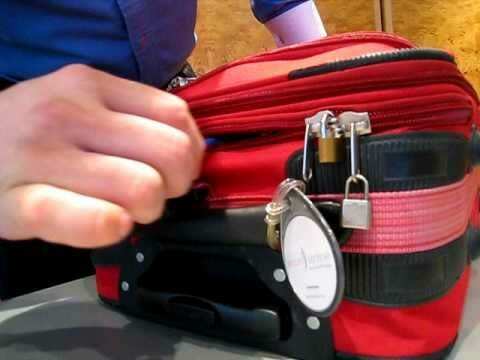 Many airports will open passenger’s locks without them even knowing as they have special tools to do so discreetly, but there are other methods for entering suitcases. Many can be opened just using a simple pen to separate the chain on your zip. Make sure you buy robust luggage if you want to prevent any unwanted hands in your bags. 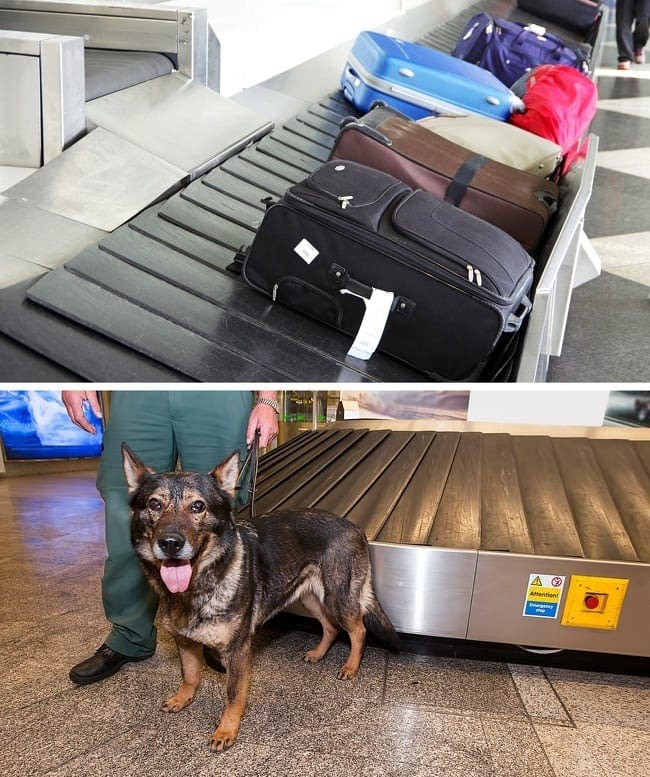 There are many dogs that have been trained to check the bags that come through airports all over the world. They have been trained to sniff out any suspected illegal substance or explosives being smuggled in passengers bags and they are very good at their jobs. Sometimes the dogs will even get to come out from behind the scenes and give everyone’s bag a good sniff in the customs lines. These pooches are an important part of safe air travel and our planes are made safer thanks to their efforts. 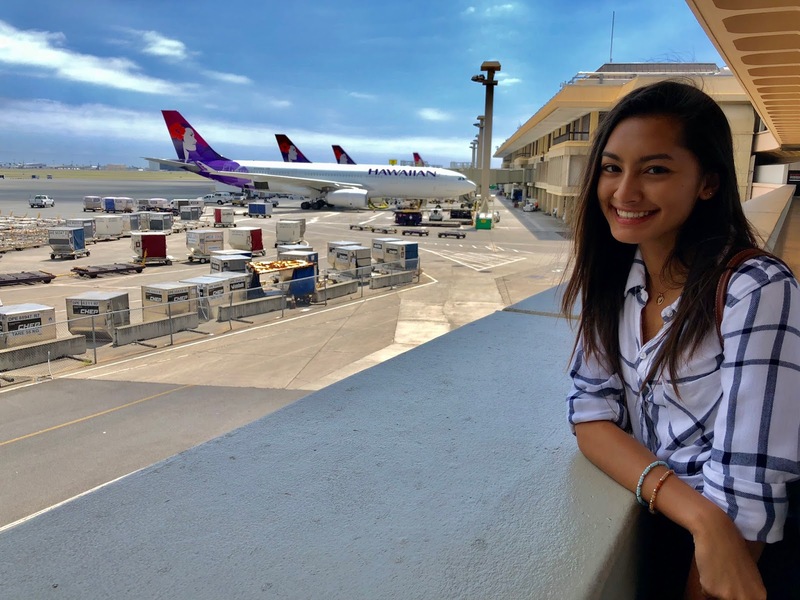 People who work at airports get a discount on their travel costs which means that when it is time for their vacation they can travel the world for a fraction of the cost we pay. Staff at airports have to put up with a lot thanks to rude customers and the pressures of getting people to their planes on time. It seems only fair that there are some perks to their job and this is a big one that we are a little envious of! Airport staff have admitted that there is a specific time period that they make the most money from store and restaurant sales. The moment from you get through security until the time you board the plane is that time. More specifically, the first hour within that time frame is called “The Golden Hour.” The airport is aware that customers are a lot more “self indulgent” in this period, and spontaneously ready to shell out money for all kinds of products. Here’s another thing that airports are well aware of. The fact that most people in the world are right handed. But some airports have gotten into the trend of making their hallways veer to the left, and placing the stores on the right hand side. The overall effect places essentially forces the customers to see the stores on their right, and subconsciously be more likely to buy something. Next time you find yourself in that situation, try not to feel too manipulated. We all know it’s true. If we’re in a good mood, we’re more likely to buy things. For this reasons, airports have made it a practice to try and get us in the best mood as possible while waiting for our flight. But how do they do this? One way is that they place the stores near big windows so that sunlight is always shining down on the stores. As a result, there’s always a “light” and “positive” atmosphere, and we’re a lot more likely to spend money. An airport expert named David Zweig wrote in a book that “very, very little in the style of an airport sign is arbitrary.” He’s referring to many things, but especially the font. You might not think much about the font style when you look at the signs in airports, but apparently they only use three different ones: Clearview, Frutiger, and Helvetica. They are all sans serif fonts, and therefore they are all easily seen from far distances. Airport officials have also opened up about the traveler’s experience in regards to the tarmac. They’ve revealed that it’s no mistake that the planes are generally visible the moment you get out of security. They do this purposely to accomplish a few things. They want to guide the traveler, and let them know they’re going in the right direction. They also do it to enhance the overall “airport” experience, reminding them that they’re about to catch a flight. This is something that you probably never noticed, but when we tell you you’ll say, “Oh yeah!” The airport floors are covered with some sleek, hard surface – except for one place. The gates are covered in carpeting, and there’s a very good reason for that. After going through all of the airport logistics, they want the traveler to feel at home when they get to their gate. The carpets give off a warm feeling, and allow us to “ease” into the airplane mindset. When there are multiple lines, we’re always anxious that we got into the wrong one, and that the other lines are certainly moving faster than ours. In a single line we don’t have that problem. We simply get to the front, and only then are we directed to the next available ticket agent. Only airport staff and well seasoned travelers know the following fact: Tuesday flights are the cheapest. This is because the weekend is the prime time that most people travel, and therefore the prices are understandably jacked up. Since Tuesday is smack dab in the middle of the week, they purposely make it less expensive to entice people. Listen, there’s a reason flying on the weekend is more convenient. But if you’re one who cares less about convenience, and more about saving a buck – Tuesday is your answer. 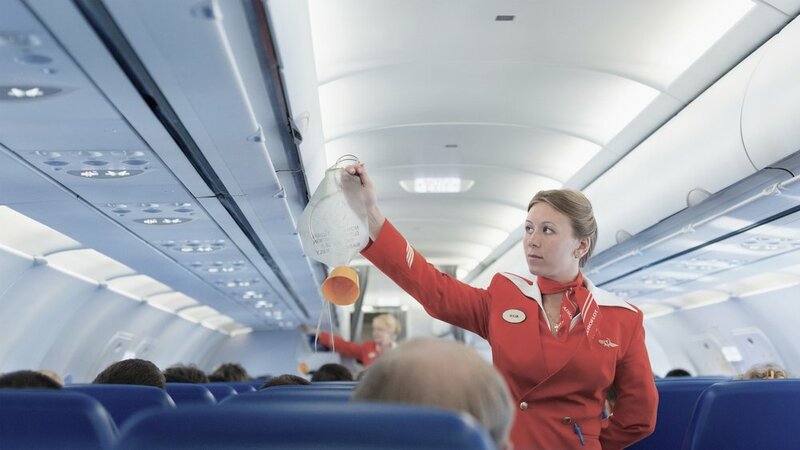 We’ve all probably feared being on our flight and all of a sudden, the oxygen masks pop down in front of us, signaling a substantial change in air pressure. Something you should know – not to scare you even more – is that those masks actually only allow oxygen flow for about 15 minutes before it runs out. Don’t worry, though, because this is actually plenty of time for the pilot to make sure they get the plane back to safer pressure levels. Everyone does this while traveling, so there’s no need to be ashamed. We all run straight for the duty free section of the airport at the first opportunity we get to stock up on tax free items. The only thing is, however, these items may have skyrocket prices specifically for this reason. 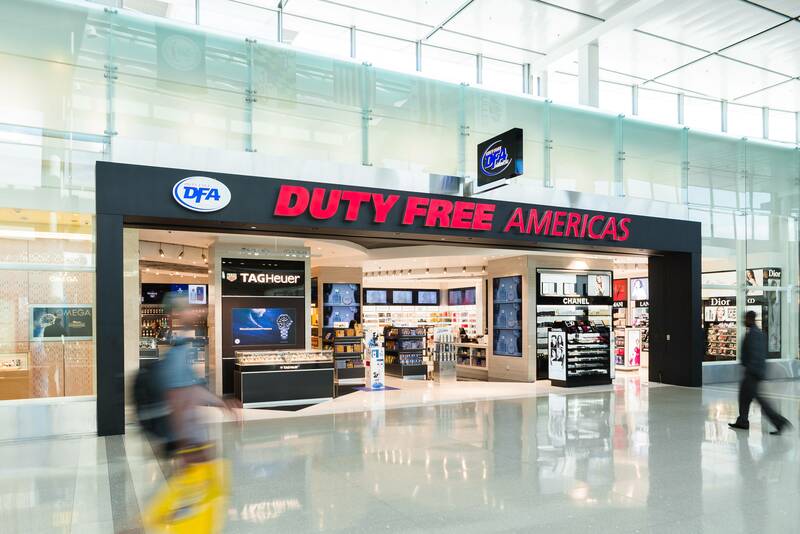 That’s right; just because the duty free shops are meant to be cheaper, doesn’t always mean they are. But yet, for whatever reason, people assume they’re saving big bucks and splurge there anyway. No one likes losing things at the airport. It becomes a real hassle and can completely ruin an already miserable experience. Thankfully, most missing items usually end up back with their rightful owners. Unfortunately, however, that is not always the case. In fact, sometimes things like clothes and electronics may never be returned. 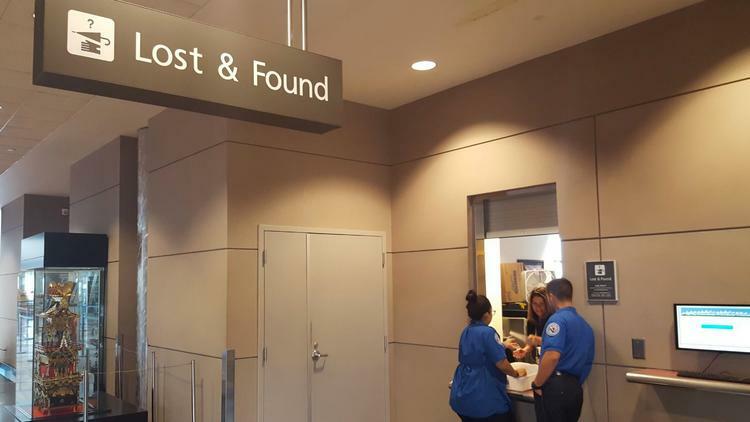 Because airport staff knows this, they may raid the lost and found for things that’ve been sitting there a while and take them over to eBay. Yes, the employees may sell your stuff. Being an airport bag handler cannot be an easy job. The weather conditions alone can cause severe problems. Imagine being outside for long hours every day during the boiling hot Arizona summers or the freezing cold Chicago winters. It can’t be pleasant. On top of that, they are lifting and tossing other peoples’ heavy belongings all day long. And, with all of this, they still don’t make much more than minimum wage. One perk, though, is that they get to fly for free, so maybe it’s worth it. Okay, so we know you’re wondering: why on earth do we have to shut off our phones during take off and landing on flights?! Well, the whole thing about technical malfunction is actually a myth. However, phones can mess with the radio signal and cause static, making it hard for the pilot to hear important things from the dispatcher. So please, just shut them off. You’ll survive the short amount of time without them. Flight attendants, actually do ignore this rule quite often, though. How much money do you have to earn to be considered rich in these 42 U.S. cities?